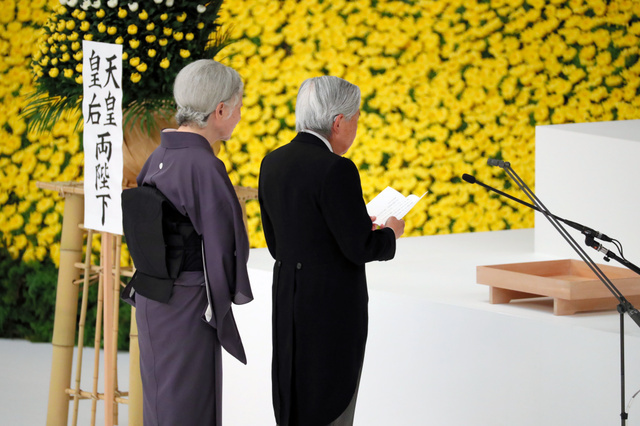 On 15th August, HM Emperor Akihito and HM Empress Michiko attended the Memorial Ceremony for the War Dead took place in Tokyo. 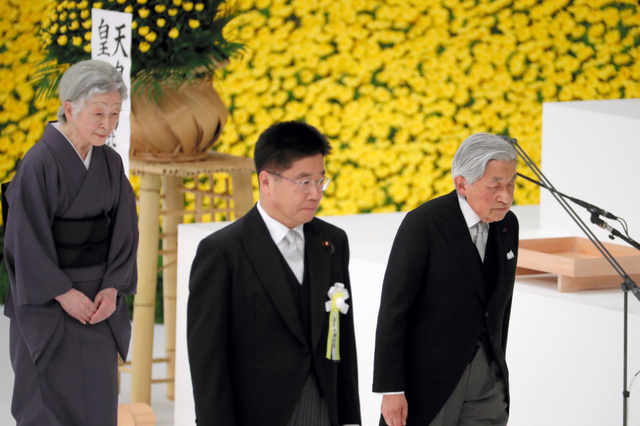 It became the last time for Their Majesties to attend the Memorial Ceremony for the War Dead. On this Day to Commemorate the War Dead and Pray for Peace, my thoughts are with the numerous people who lost their precious lives in the last war and their bereaved families, as I attend this Memorial Ceremony for the War Dead with a deep and renewed sense of sorrow. 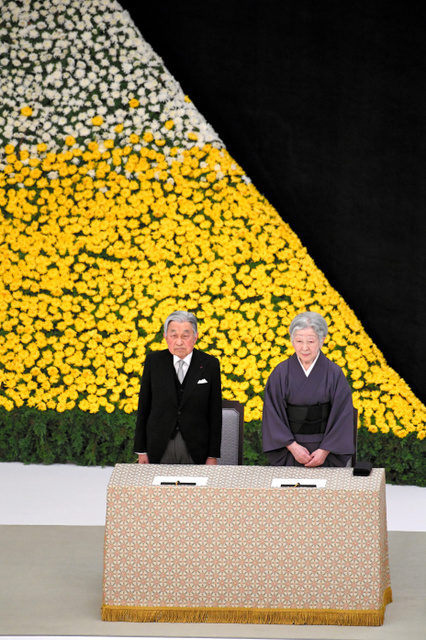 Seventy-three years have already passed since the end of the war, and our country today enjoys peace and prosperity, thanks to the ceaseless effort made by the people of Japan, but when I look back on the sufferings and tribulations of the past, I cannot help but be overcome with deep emotion. 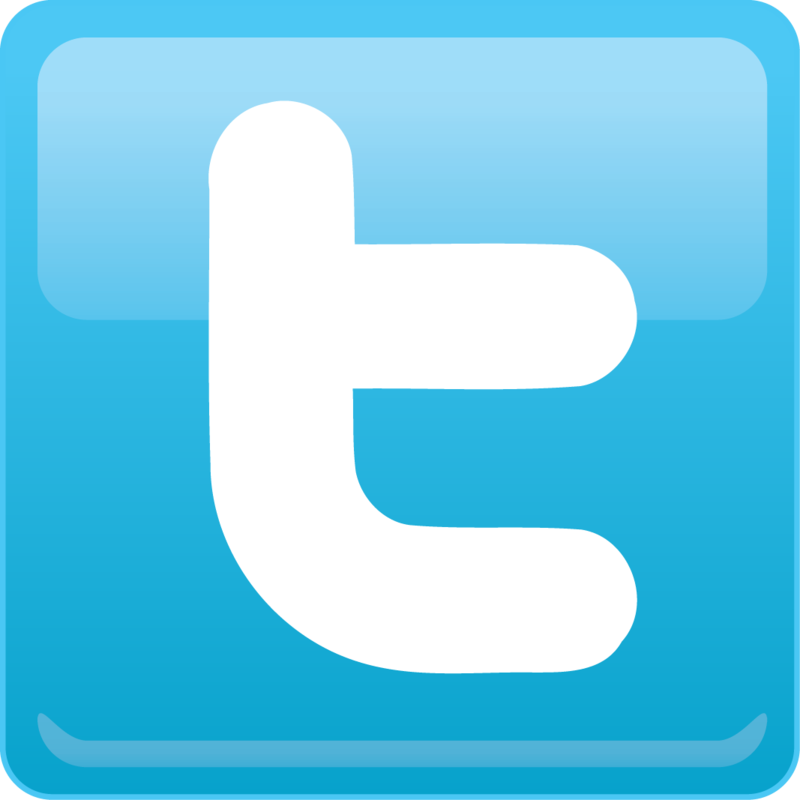 Looking back on the long period of past-war peace, reflecting on our past and bearing in mind the feelings of deep remorse, I earnestly hope that the ravages of war will never be repeated. 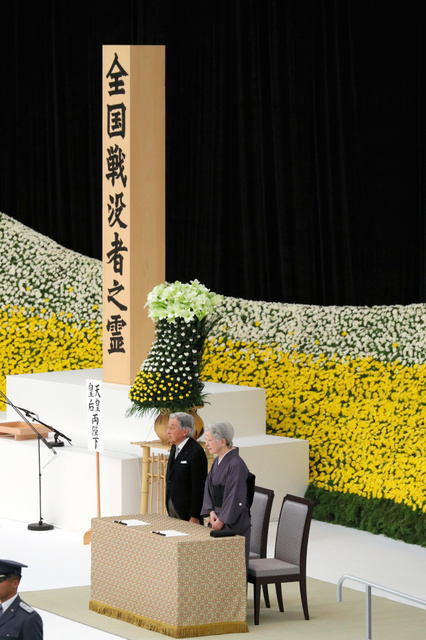 Together with all of our people, I now pay my heartfelt tribute to all those who lost their lives in the war, both on the battlefields and elsewhere, and pray for world peace and for the continuing development of our country.